I'm continually frustrated that so many -- many Republicans included -- believe the lie that "there never were any weapons of mass destruction (WMDs) in Iraq". It's patently -- provably -- not true! And the lie can be easily refuted using entirely liberal news sources (because it was all over CBS, NBC, CNN, NPR, etc.). Or Bill Clinton's own words, etc. So to set the record straight, this is how I (and the liberal news networks) remember the history leading up to the US coalition (there's another lie -- "no coalition" -- there were many countries who joined the invasion) invading Iraq in March of 2003 after a yearlong period of waiting in vain for diplomatic breakthroughs (i.e. no "rush to war" either). Today many forget that in 1983 the world knew as an absolute fact that Saddam Hussein's Iraq had actually used WMDs (nerve gas) against Iranian soldiers in their war. They knew because we had video of Iranian soldiers under the effects of nerve gas (I remember watching the video on CBS, and it was disgusting). And the networks followed up enough that they were convinced the story was true. So there -- just there alone -- we know for a fact that the "never were any WMDs in Iraq" statement is a lie. Or at least an intentional omission by those who know, and an ill-informed mantra learned by many who have been lied to by people with a partisan political agenda. In 1988 US news networks (liberals) knew as an absolute fact that Saddam Hussein's Iraq had actually used WMDs (nerve gas) against Kurdish separatists in Halabja, in northern Iraq. In 1992, shortly after the UN coalition defeated Iraq in the first Gulf War, the world was appalled as the US appealed for an uprising in southern Iraq and then was slow to respond when it happened and the Iraqi army and air force crushed it. The belated "no fly zones" couldn't save the rebels, and it only served to keep Saddam Hussein in power when his own people clearly wanted him gone. In any case, then in 1992, Americans knew as an absolute fact that Saddam Hussein's Iraqi government had actually used WMDs again (nerve gas) against Shi'ite separatists in southern Iraq. And so, starting in 1992, the increasingly frustrated UN imposed sanctions upon Iraq requiring them to allow weapons inspectors "unfettered access" to Iraqi WMD sites so they could find and destroy all of Iraq's weapons of mass destruction. However, it's clear from the record (this article from NPR details the whole history) these inspectors never had "unfettered access." In fact, they were continually, routinely, delayed, misdirected and otherwise obstructed, so that they had no way of knowing if they were really finding Iraq's WMD stockpiles. Many of these inspectors were convinced Iraq was hiding something, still. This pattern of obstruction continued even as late as 2003, just weeks before the US coalition invasion of Iraq. Inspectors would be told there were WMDs hidden in a presidential palace (you remember this from the news, don't you??? ), the inspectors would lead a convoy there to inspect it, Iraqi soldiers would hold them up for 2 or 3 hours, or a full day, so they couldn't inspect it, and then once they finally arrived they found -- surprise, surprise! -- that there was no evidence of WMDs remaining. That was the repeated history of a decade of UN weapons inspections! Yes! The inspectors did find and destroy large quantities of WMDs and many WMD-producing facilities (again, what do the liberals say? "Never any WMDs in Iraq"??? ), but there was always a feeling that there was more being hidden. On more than one occasion, Iraq was found to have been lying and hiding WMD programs which were later discovered by weapons inspectors and destroyed. Why should they -- and the administration of George W. Bush -- have assumed that they'd found everything when there was so much evidence that Iraq continued to hide and obstruct, and had been shown to have hidden WMDs which were later found? The history generously supports what President Bush said, in 2002, "We know that Saddam Hussein pursued weapons of mass murder even when inspectors were in his country. Are we to assume that he stopped when they left? The history, the logic, and the facts lead to one conclusion: Saddam Hussein's regime is a grave and gathering danger." I agree! In late 2002, shortly before the US led invasion, the UN found Iraq to be in "material breach" of its obligations to obey UN resolutions (i.e. it was still avoiding and flaunting its obligations to submit to inspections, and presumably was still hiding things from inspectors). And Hans Blix, head of the UN inspection regime, was frustrated. NPR says: "Blix does express frustration with Iraq's failure to account for its vast stores of chemical and biological agents it was known to have at one point." So there is the crux of my argument -- expressed not by partisan US officials, but by a relatively neutral Hans Blix of the UN: 1) he indicates there were once "vast stores of chemical and biological agents", 2) Iraq was "known to have [them] at one point," and 3) Iraq was responsible for a "failure to account" for these vast stores. He's admitting that the UN inspectors knew Saddam Hussein had vast stores of WMDs at one point, and the UN inspectors had no way to confirm that they did not still exist! Obviously, despite continued operations and the destruction of much of Iraq's stockpiles and infrastructure, the total stockpiles destroyed and the entirety of the infrastructure destroyed could not reliably be estimated to equal Iraq's total capacity at one time. Even Blix, as late as 2002, believed Saddam still had WMDs hidden somewhere. The most pressing concern, in US foreign policy circles, that a weakening of resolve from Russia, Germany and France (each of which had financial ties to Iraq, and would benefit from a lessening of sanctions) would allow Saddam Hussein to be released from UN sanctions and mandates, so that he could resume his former activities unmolested, and could thereby prove a destabilizing influence in the Middle East, as well as continuing to fund worldwide terrorism. 1) It's true. By 2003, Saddam Hussein may not have had a substantial WMD stockpile. He might have destroyed it in secret, though there was no way for US intelligence officials or UN inspectors to know this. Why should they have trusted his word, when in so many other cases he was known to have lied? ossible that Saddam Hussein set himself up for invasion by refusing to deny that he still had WMDs. The obstruction of the inspectors may have been a ruse to make Iraq's enemies think that he still had WMDs when he didn't. Still, President Bush can't be blamed for not taking Saddam at his word, and thinking the worst of him, right? 3) It's possible the CIA and the Bush Administration overstated the case for WMDs still in Iraq. That's what administrations do! The Obama Administration has obviously overstated the case for US citizens' ability to "keep the health plans they like". Why aren't liberals up in arms about that? What's clear from the evidence is that the Bush Administration could rationally and realistically believe Saddam Hussein's Iraq still had WMDs, and might retain some ability to create more. They also believed the inspection regime, and the full array of UN sanctions against Iraq, might soon come to an end, and Iraq might soon be free to reconstitute its WMD programs anew! So no wonder they might have tried to push the envelope a little in order to provide rationale for an invasion that would put an end to Saddam Hussein's destabilizing shenanigans once and for all. I believe the Bush Administration thought it was doing the world a favor by invading Iraq, and the evidence presented here shows you why. That said, it's also possible, as was reported by reliable intelligence sources, that Iraq smuggled the remainder of its WMD stockpile by truck convoy into Syria in the weeks before the US invasion. It's entirely possible that the WMDs we've been concerned about during the Syrian Civil War in 2013 did in fact originate in Iraq, in 2003. 3) UN weapons inspectors had no way to confirm that all of Iraq's WMDs had been destroyed. In fact, the continual obstruction of inspections by Saddam Hussein's Iraq led rational people, including some of the inspectors themselves, to believe that Iraq still hid at least some WMDs as late as 2003, and might even have some hidden infrastructure to resume production. This is the 2nd of two interviews I conducted in 2005 with prominent Colorado Black Republicans. 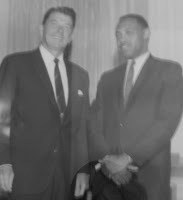 Theron doesn't like the term "Black Republican" — he's a "Republican" just like any other — but his record as a Black man in government positions as early as the 1960s is a testament to the vision of both Ronald Reagan and the Republican Party. 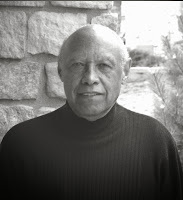 Please also read my interview with Arniter Jamison and my analysis of who really made the 1964 Civil Rights Act possible (well-meaning people, Black and White alike, were on different sides of that Act, but the point is the Democrat claim that they were the only champions for civil rights in the '60s is a lie). They had gotten an inkling to get involved in local politics. Herb was a Democrat, but Bell convinced him that if they could find a good Republican candidate to back for Governor of California, they would both volunteer. That’s how these two black men in 1966 ended up spending an hour riding horses and talking with Ronald Reagan at his ranch. And that’s how Bell ended up committing most of the rest of his life to implementing Republican policy from Sacramento and Washington D.C.. Most of Bell’s experience had been in middle and upper management in auto sales, insurance and trucking. His only experience in politics had been campaigning for Alaskan statehood. But that planted a bug in him that would be with him for the rest of his life. Bell was asked to chair Reagan’s speaker’s bureau. He would call up Reagan’s movie star friends, and ask if they’d speak for him. But if no one could, then the task fell to Bell. At one such appearance in Sacramento, Bell arrived late and hung out at the back of the room as the other candidates made their pitches to the audience. Bill Bagley, a state legislator who was speaking for one of the other candidates, told the crowd what a racist Ronald Reagan was – that was the angle his opponents were using. Then, to great effect, Bell took the stage on Reagan’s behalf and said, “It’s obvious Mr. Bagley doesn’t know what he’s talking about!” Reagan got the endorsement that night. For that matter, Bell says, Goldwater wasn’t a racist either. The Goldwater’s department store was the first in the country to hire a black man as vice president. “Obviously, the legislation helped open doors, to the restaurants and things like that, in certain parts of the country. And broke down some of the racial barriers in the south... I’m not sure that wouldn’t have happened anyway. Especially after World War II and the Korean Conflict, when they integrated the armed services. It was already taking place.” Bell was one of those pioneers who forged a path for the future, on his own, without the Civil Rights Act. Governor Reagan tapped Bell to head up his California Office of Economic Opportunity. “Reagan ended up appointing more blacks to policy-making positions than all of the previous governors of California combined,” Bell said. As Director, he helped generate business and jobs. “We had put together in California a program to increase the number of minority owned businesses,” Bell said. It was so successful that Richard Nixon used it as a nationwide model when he became President. Partly because of that notoriety and experience, Bell was appointed as state director for Nixon’s ACTION agency, where he served through most of the '70s. Bell was called back into service by President Reagan in 1981. He took over as Director of the Minority Business Development Agency — the federal agency Nixon had created on Bell’s California model. Ironically, President Carter had slashed funding for minority business development. Its budget had fallen to $20 million. Bell’s connections with Reagan and his team paid off. “We tripled the budget each year for three years,” he said. Bell helped set up national and local business groups, such as the Denver Hispanic Chamber of Commerce, which still helps local minority firms today. 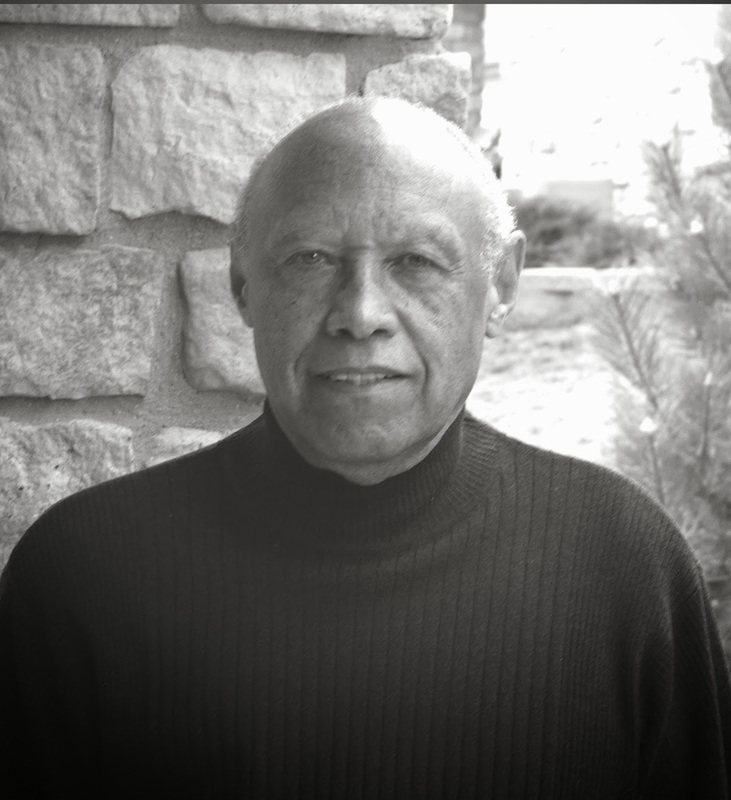 He funded 100 centers to lend support to minority-owned businesses. He helped owners network between themselves to their mutual advantage. He set up an international export program, and launched several trade missions. It was all more ambitious than what previous administrations had tried, and it got to the root of the needs of struggling minority-owned companies. Reagan and Commerce Secretary Malcolm Baldridge ignored complaints, backed Bell’s decision, and the corporate welfare died away. Bell says the program still supports minority businesses, but today it’s funded entirely with corporate money. After Reagan left office, Bell worked for President George H.W. Bush, and then for the governor of Virginia. Once, Bell ran unsuccessfully for Mayor of Alexandria, Va., on a Republican platform. Then he and his wife moved to Littleton, Colo., where they remain very involved in local Republican organizations. Bell believes in Republican philosophy, and he feels those concepts of individual rights, free enterprise and opportunity are beneficial to all Americans — black and white alike. To Bell, few people represent the very best of Republican philosophy as well as Ronald Reagan. What do Republicans need to improve? “The Republicans don’t reach out like the Democrats do. It’s almost as if they’re afraid to reach out. The door is open, and Republicans expect blacks and other minority groups to walk in the door just like they did.” He says it doesn't always work like that. To Theron Bell’s mind, that’s worth everything.